Fire TV 4k comes with a very useful remote with voice search capabilities. With this device, first and foremost, you can watch high-definition 1080p streams on any of your favorite and well-known apps, like Netflix, Amazon Video, Hulu, and many others. 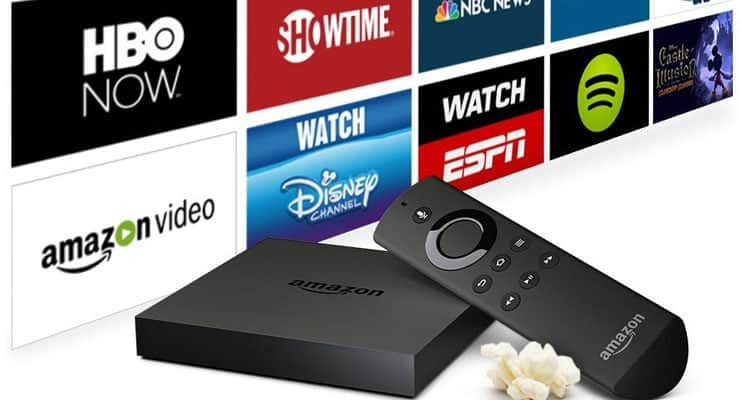 Not only that, but also it's compatible with Plex, and you could even sideload Kodi if you wanted to, which expands your content choices millions of times, and ensures a nice HTPC experience with this little Amazon Fire TV 2. The Amazon FTV2 has a quad-core processor and a 75% more processing power than its predecessor, which makes it ideal for watching any content. Amazon Fire TV 4k: Gaming? 4k Video? Voice Search? All of this and more can be found on your FireTV 4k device. You see, the guys at Amazon included Alexa, which is the brain behind Amazon Echo, and included a microphone on the Amazon Fire TV Gen 2 remote. What this means is, basically, that if you're feeling super lazy, you could tell your Fire TV what to do, only pressing the microphone button. You could search TV shows, movies, actors and more, just using your voice. This is advertised to save you a bunch of time of typing with a remote; however, if you do like typing for more precise control over your content, you can also take a look at wireless HTPC keyboards that let you do just that. Who's stopping you from using both search methods anyways? Fire TV 4k gaming edition comes with a gamepad, two games and a microSD card, instead of a remote. With more processing power and increased capabilities, the AFTV 2.0 also gets a big plus at gaming. Its predecessor was already capable of some casual gaming, but this Amazon TV box takes it to the next level. The Amazon Fire TV 4k also comes in another version, more gaming-oriented which includes a controller, so you could preorder fire TV 4k gaming edition and start your gaming right when this device is launched. If you preorder this version, you will get two games included with it, as well as the gamepad and a 32 GB microSD card, which sounds like a very nice deal. It is always nice to see manufacturers including extras such as remotes or gamepads; we have seen this with the NVIDIA SHIELD TV, which included a gamepad to control your games and media, and even boxes as cheap as the Tronfy MXQ, which included a very responsive remote. 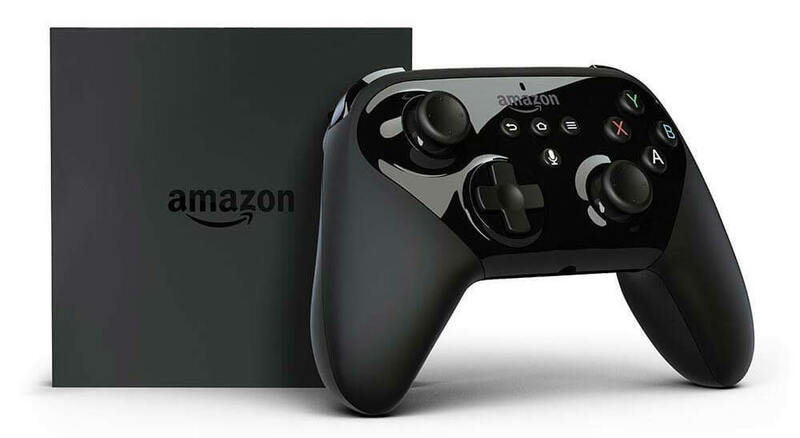 However, the Fire TV 4k includes a voice-responsive remote (or gamepad, for the gaming version) which looks absolutely amazing and easy to handle, with a machine capable of displaying 4k video and with a huge list of features. This, in itself, is a pretty solid deal, and gets even better when you see you can preorder it for less than 100 bucks. Would you recommend preordering the Fire TV 4k? The AFTV2 boasts just the necessary connectivity options to get the most out of its features. I'm not one to get easily hyped or amazed at technology, but I have to admit that the Fire TV 4k brings a TON of features and the price is absolutely tempting. Seeing what the AFTV2 and the Amazon Fire TV stick are capable of doing already, I can't help but recommend you to get this Fire TV 4k device. If you are the lucky owner of a 4k TV set, this is a no-brainer, you should get it as soon as you can to take full advantage of your TV. If your TV is not capable of displaying 4k, this device still brings a lot of good things for you, because it is also capable of displaying content in lower resolutions, and the higher processing power means you won't have stuttering or lags in your media. Check out this Amazon TV box and preorder it today, whether you want the Amazon Fire TV 4k or the Amazon Fire TV 4k gaming edition.